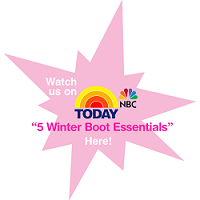 Mynxx Ice Grips provide added snow and ice traction to flat-heeled shoes and boots. Designed specifically with the city-chic woman in mind -- for women by women -- Mynxx are tough enough to break ice, yet elegant enough for the style-conscious wardrobe. Mynxx ice grips are portable and easy to use. Simply pull on for a snug fit and head out. When you've reached your destination, slip off, toss into its water-proof nylon carrying case, place in your clutch or handbag, and go! Winter Styling - Here are a few ways women are pairing their Mynxx. Let us know how you are wearing yours!